Intrinsically Safe Cell Phones Reliability Direct, Inc. Your Direct Source for Reliability, Maintenance, Test & Measurement! Please note: GSM phones are not CDMA (Verizon) compatible. The EX-Handy 09 is obsolete and has been discontinued. We recommend you consider the Smart-EX 01 Intrinsically Safe Smart Phone The XCiPhone 7-PLUS allows your iPhone 7+ to be used in Class 1 Div II, and Zone 2 Hazardous environments. 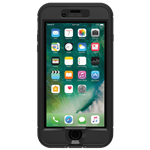 The XCiPhone8 allows your iPhone 8 to be used in Class 1 Div II, and Zone 2 Hazardous environments. The XCiPhoneX allows your iPhone X to be used in Class 1 Div II, and Zone 2 Hazardous environments.